Next came the outside. I painted it in a copper metal paint because most of the metal (the gutter, the rain chain, etc.) is copper on the front of the house. 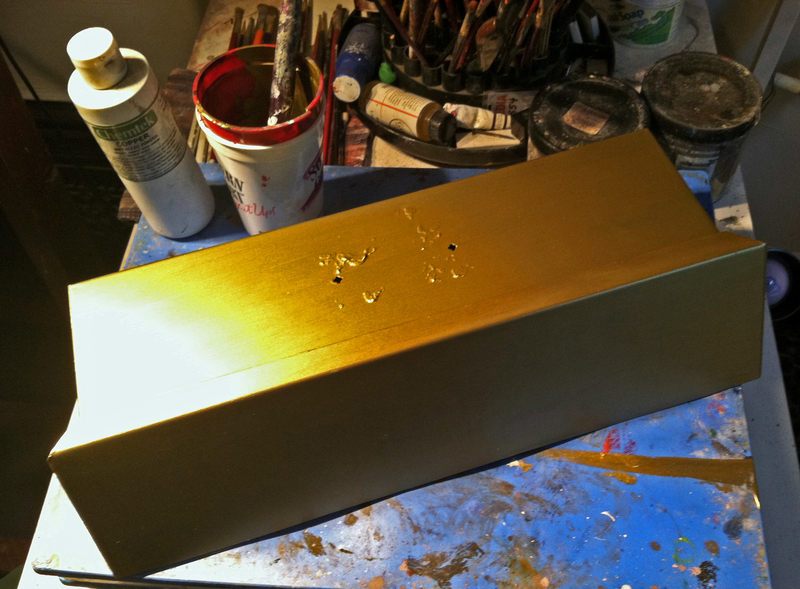 This paint is real copper, patinas with time, and wears well. I couldn’t find this exact brand online (I’ve had it for years) but there are many great metallic paints out there at home improvement stores. This paint took 4 coats to cover completely. 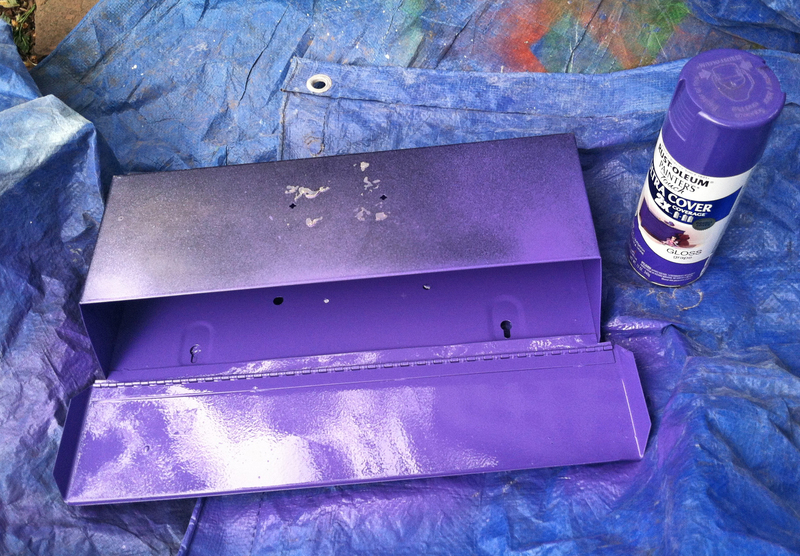 Any nice color would work equally well, especially nice in gloss. Next came the fun part. 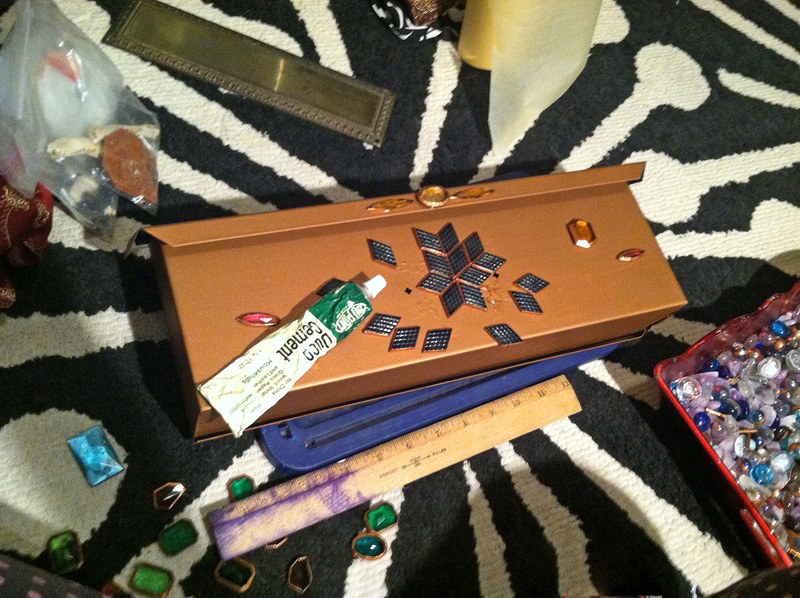 I pulled out my big box of bits and jewels and played around till I had a design I liked, then glued it on with Duco Cement. The jewels I chose to use where wrapped in copper metal tape, so were an obvious choice (I acquired all the jewels from artist Lonnie Hanzon’s studio auction years ago. I’ve been using them up bit by bit over the years.) 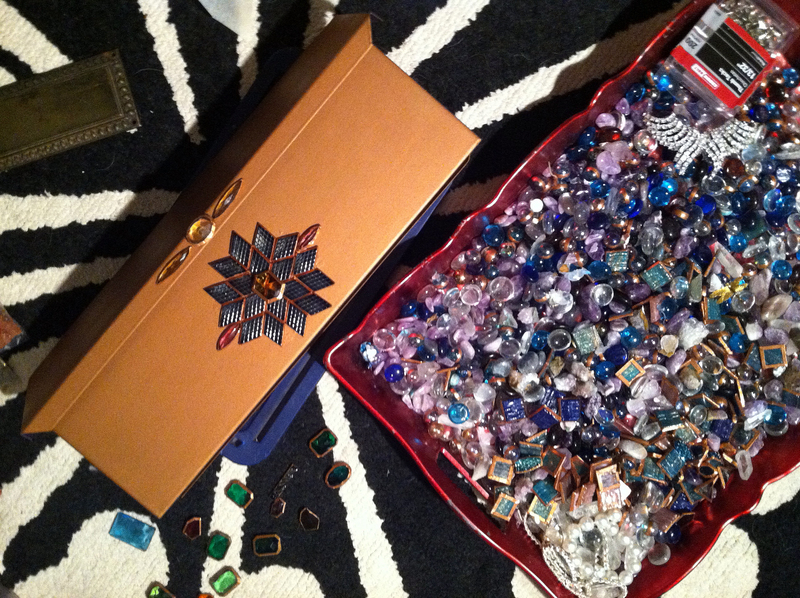 You could glue anything onto a box like this: beads, findings, whatever tickles your fancy. And here it is hung by the front door. 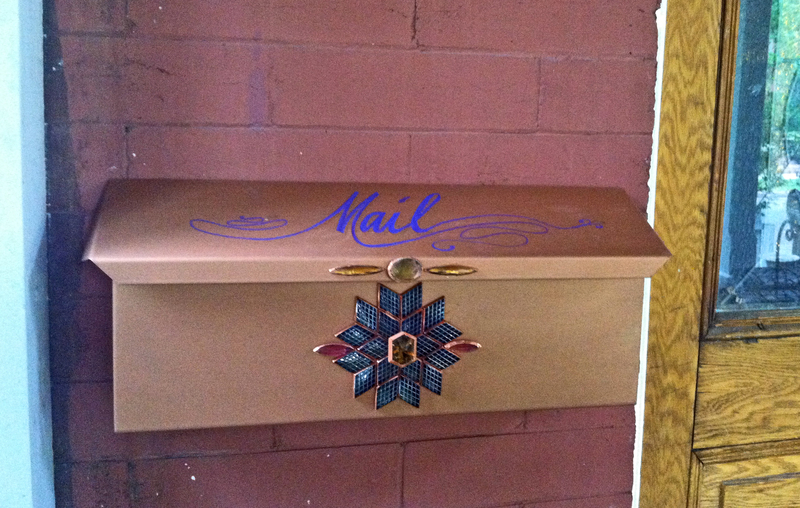 A fun, funky one-of-a-kind mailbox. 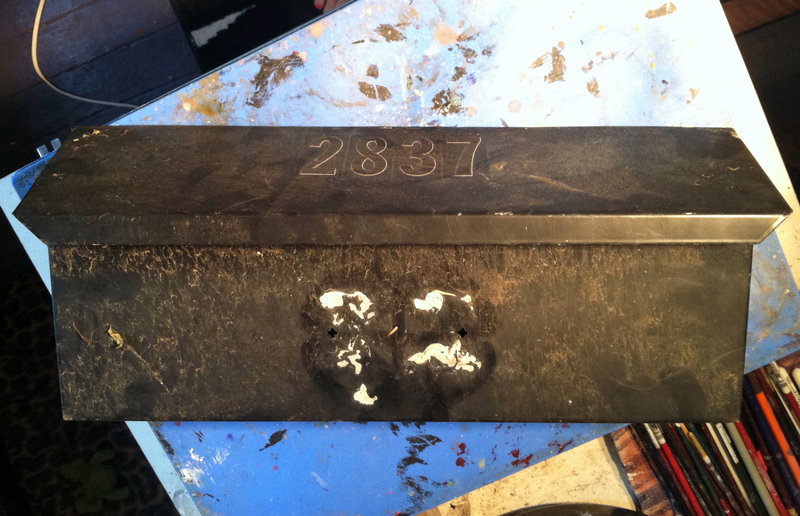 I hope you’ve been inspired to create your own fun mailbox! For more inspiration, do a Google image search for “unique mailbox”. There are some amazing creations out there! 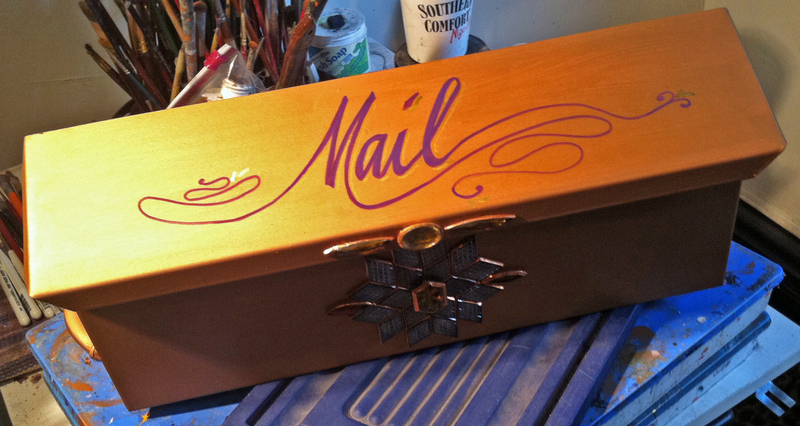 This entry was posted in art, decorating, DIY, home, lifestyle and tagged art, bargain hunting, budget, decor, decorating, DIY, fine living, home, lifestyle, mailbox, mailbox restyle, metal mailbox, one-of-a-kind mailbox, painted mailbox, redecorating, redo, restyle, saving, style, unique mailbox. Bookmark the permalink.